There are men and women that have the ability to control their shadows, molding them into shapes according to their will. These "Shadow Users" gain this special ability through some traumatic event from their past, creating darkness and sorrow in their soul. Cole is a Shadow User, but his shadow, named Shiva, was once human. Now, he is on a search to find the individual responsible for turning Shiva into a shadow and return Shiva to his body. 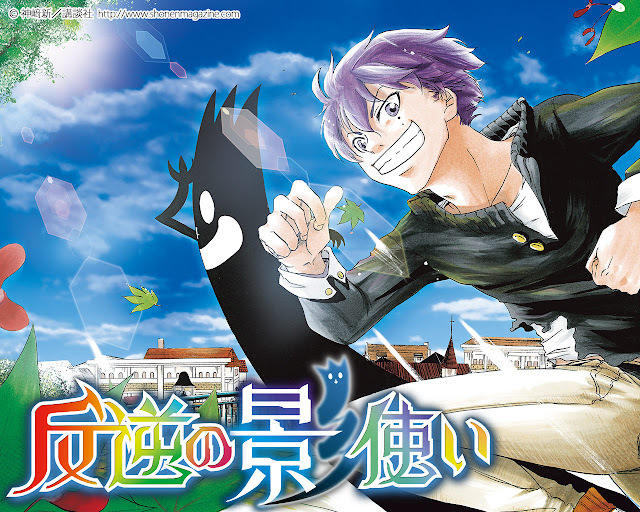 Hangyaku no Kagetsukai started in Weekly Shonen Magazine Volume 25. This is Shin Kanzaki's first work. After reading the first chapter it can be said that the plot seems interesting, however the artwork could be improved on. There are gag elements which make the story fun to read but there are some serious parts to the story as well which shows good dynamics.